Founded in 2010, King’s College London’s Department of Political Economy is the only one of its kind in the United Kingdom. Its teaching and research recognise that the disciplines of Politics and Economics are inextricably linked. One cannot fully understand political processes without some notion of the economic context in which politics operate, just as sound economic analyses require some appreciation of how resource allocation is conditioned by political institutions, historical context and ethical values, and the way these have been understood by different traditions in social thought. In a world characterised by financial uncertainty, ecological insecurity, and value conflict, the links between political and economic processes become increasingly prominent. The need for an interdisciplinary approach to issues engendered by globalisation has never been greater. The department’s degree programmes at both undergraduate and postgraduate level are informed by this vision. Students receive rigorous training in their respective discipline whilst having the opportunity to draw on insights from a world-class faculty working across the rich interdisciplinary space of political economy. We would also like to take this opportunity to express our gratitude to our ever-supportive patron, Mr. Alderman Tim Hailes. Mr. Hailes is now a Managing Director & Associate General Counsel in the Legal Department of J.P. Morgan Chase & Company, based in London. Prior to joining J.P. Morgan in 1999, he was a solicitor in private practice for 7 years, specialising in derivatives, structured products, and financial markets law. Mr. Hailes graduated from Kings College London with a BA (Hons) degree in History in 1990. He is a Jelf medalist (1990) and served as a member of College Council and a sabbatical officer in KCLSU from 1988-89. Whilst at university he served in a political capacity two members of Margaret Thatcher’s Cabinet. After graduating he undertook postgraduate legal study at UWE, Bristol. Mr. Hailes has also acted as a technical expert to the UK FCA and has represented the financial services industry in front of numerous regulatory authorities including IOSCO, the EC, the Chinese BRC, the HKMA, MAS, and the Australian SIC. 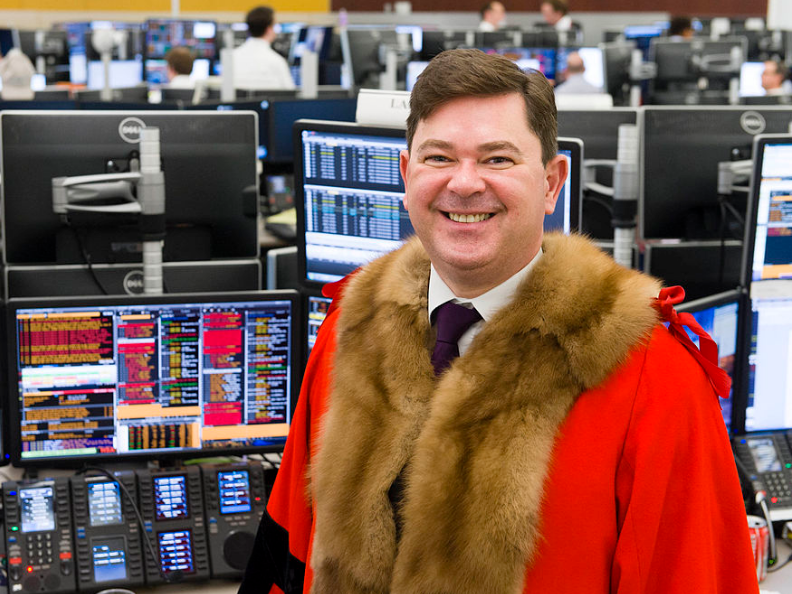 He was appointed to the magistracy by the Lord Chancellor in March 2013 prior to his election to the office of Alderman for the Ward of Bassishaw in The City of London, in the following May. In addition to being the Alderman for the Ward of Bassishaw in The City of London, Mr. Hailes is also a liveryman of the Worshipful Company of Solicitors, a freeman of the Worshipful Company of International Bankers, a magistrate (Justice of the Peace) on the Central London bench and a member of The Royal Institute of International Affairs (Chatham House). UK In House Finance Lawyer of the Year 2014, The Legal 500. Regulatory (Financial Services) Lawyer of the Year 2017, European Counsel Awards. This website is made possible by the KCLSU Development Fund. We also heartily thank the KCLSU Development Fund for extending us funding to develop this website, crucial for sharing the King’s Think Tank’s initiatives and projects to an ever-growing number of people. Should you wish to inquire about the Sponsorship Packages or information on buying advertisement space on our policy recommendation journal, The Spectrum, do not hesitate to email president@kingsthinktank.org. In 2015, King’s Think Tank and AISS Young Think Tank organised Policy Week. Three members per association consulted with academics and experts throughout the week and following the end of week debate, crafted a set of policy recommendations. This year’s Policy Week took place in London between the 25th and 31st of October, and focused on the issues related to European foreign fighters joining ISIS, and the refugees seeking asylum as a consequence of the ISIS presence in their home country. AISES Young is an international network of young thinkers, whose purpose is studying and reflecting upon global, European and national institutions, economy, finance and public policy. Their action is encouraged by AISES, an international non-profit and independent think-tank based in Rome, which has created a global network of excellence. The European Student Think Tank (EST) was founded in 2010 to serve as a platform to inform students about and involve them in the EU policy-making process. It is based on the belief that students, by applying their academic skills and knowledge, can meaningfully contribute to this process. The importance of this vision was recognized when the EST was awarded the national Charlemagne Youth Prize for The Netherlands by the European Parliament in 2011. The EST, through this website, events, and its network in the European Union’s (candidate) member states, provides students with a platform for their ideas and questions. We are a non-partisan, non-profit, and non-governmental organization (NGO) that aims to incorporate as many students, disciplines, and viewpoints as possible.